There's a chill in the air, the leaves are changing and pumpkin flavored everything is back. With the sweater weather comes unique places to explore and events galore. Find out where the leaves are changing and fall fun is happening, here in Dublin, Ohio. Embrace the spirit, or spirits rather, of the season with a spooky walk through Downtown Dublin&apos;s Historic District. Olde Town Ghost Tours visits various haunted locations and talks about the history of their haunts. Get an inside look here. 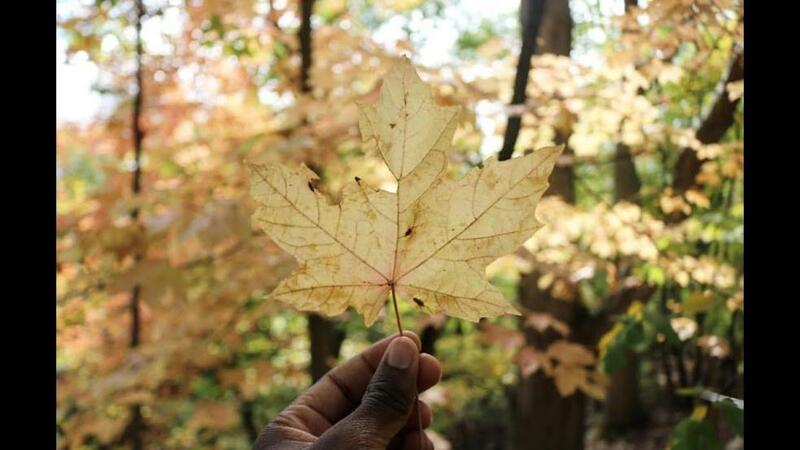 With more than 60 developed parks, plenty of access to the Scioto River and countless outdoor hidden gems & attractions, Dublin is the perfect place to get outside and watch fall color. For a full list of the places to find beautiful fall color, click here. Cool temperatures and crisp fall air make for the perfect time to visit the Columbus Zoo. Get an up close look at more than 10,000 animals from around the globe by exploring the Columbus Zoo&apos;s 6 regions and learning about their native species. For more on the Columbus Zoo, click here. The number one sign that fall is here: pumpkin flavored everything! The flavors of the season will have you feeling warm and cozy in Dublin. From stacks of pumpkin flavored pancakes to apple cinnamon donuts and pumpkin spice latte&apos;s, find out where you can find it all here. Get a birds eye view of the autumnal foliage at ZipZone Outdoor Adventures! Zip from tree to tree on a canopy adventure in the crisp fall air. For more on why we know you will ZipZone, click here. Dress up your home or yourself with the latest fall styles from Dublin boutiques like Boho72 or The Morgan House. Outfit yourself for football season with vintage inspired wares from Bridge Park&apos;s Alma Mater. For more shopping in Dublin, click here. With the change in seasons comes all new fall inspired craft brews! Head over to The Pint Room for a Pumpkin Ale or a fall-inspired IPA at RAM Restaurant & Brewery. For a full guide to craft beer in Dublin, click here. Enjoy a pumpkin weigh-off, a red wine trail and Halloween festivities in Dublin this fall! Click here for a full list of fall events.